Within this melancholy land of thoughts and brightness filling empty space, a voice cries out in search of love. If Volcanoes melt you down, this song will melt you into a realization that at times your desires may be flooding out into the world, while the heat of your passions leave others cold. They are like the cold oceans solidifying the volcanic flow and you tend to have to keep climbing mountains instead of flowing freely as the passionate soul you were meant to be. At least this song had this meaning for me. I have no idea what the rest of the song means, but does that matter? I have what I need from the song. For me it is about the desperate search for meaning and for wanting to be real in the eyes of the person you love the most in the world. 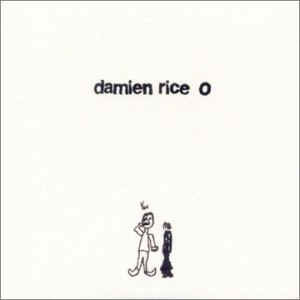 Damien Rice is a singer/songwriter from County Kildare, Ireland. What is it about Damien Rice’s voice that makes us melt with him in spirit? Is it the dreamy way he says: “can’t take my eyes off of you” or the pure sensitivity, longing and almost delicate vulnerability in the way the song takes off into “"Did I say that I want you to?” Lisa Hanningan is obviously part of the haunting qualities and when their voices mingle, it is magical. The lyrics in “Older Chests” are some of my favorites because they paint pictures for me in my mind. I love when Damien says: “Read me Your favorite Lines” or “Pass me By, I’ll be fine.” There is a sense of timelessness, a sense of resolution. “Cold Water” is rather chilling at first and reminds me of a scene from Titanic. I’m not so sure I am comfortable with how slowly the song is paced at one point, yet it takes off again rather quickly. It is beautiful if you put it in perspective and know it was influenced by a monk who composed Gregorian chants in an abbey in the south of France. “I Remember” is intense in comparison to the rest of the album, the volume of pain at times deafening. This is the most difficult, yet most exciting selection. If you are depressed while listening to this CD, Damien’s lyrics are going to be much more meaningful. Yet there is beauty in the depths. Eskimo is at first hidden in a cool plateau of calm moments. As if you were literally sitting on ice waiting for this song to take off into echoes when Doreen Curran sings the last verse in Intuit. How could one have expected this song to explain the title of the album? For me, it does. For listening when you are down, down, down. Then the cycle begins again. The cycle of relationships, the cycle of life, the cycle of love and loss. Never expect normality, “O” is the cycle of life.